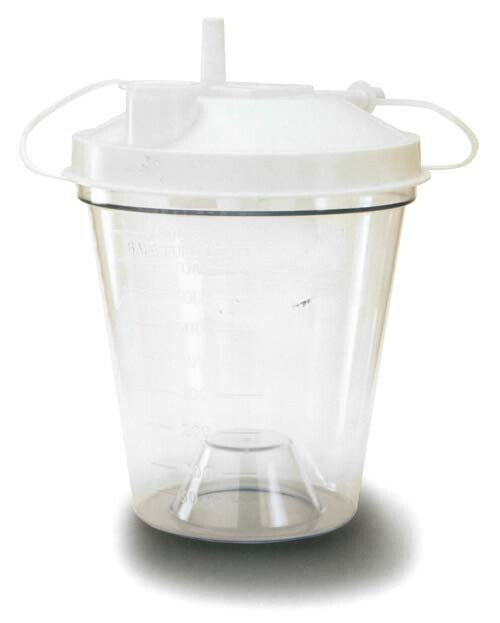 Disposable Suction Canisters from EVO Medical Solutions are hard plastic canisters designed for collecting and retaining aspirated fluids or materials, designed with a unique floating shut-off that helps prevent fluid from entering the aspirator during breathing treatments. 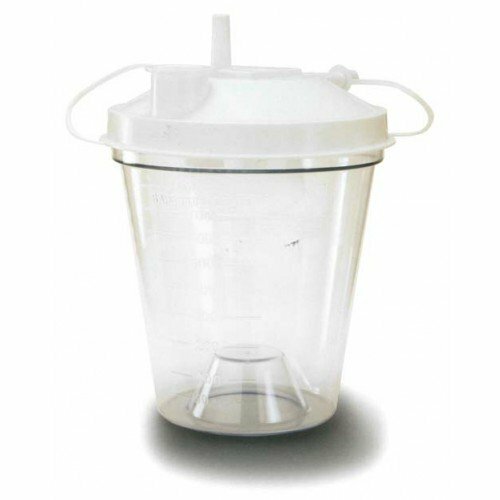 These single-use canisters offer a safe and efficient way of disposing liquid medical waste in a compact, easy-to-use, locking container. EVO's 800 cc Suction Canisters are some of the most economical and widely-used on the market. Available in both 12 and 48 count cases.